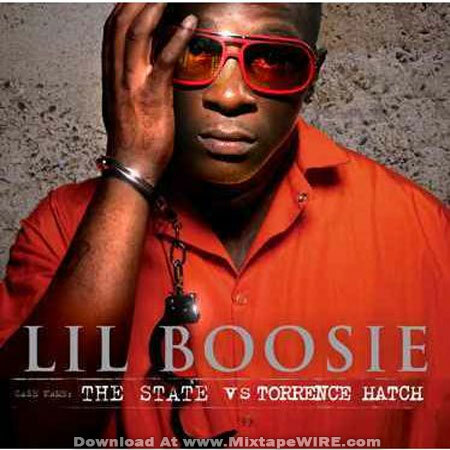 BATON ROUGE–Prosecutors said that a principal witness, a letter, rap lyrics and matching tattoos will prove their case against nationally acclaimed rapper Torence “Lil Boosie” Hatch, whose trial for first-degree murder began last week in Baton Rouge. Lead prosecutor assistant district attorney Dana Cummings, told jurors that Michael “Marlo Mike” Louding was “the key” to six different murders in Baton Rouge, including the Oct. 21, 2009, murder of Terry Boyd, in which Louding said that Hatch paid him $2,800 to commit. Cummings told jurors during opening statements Saturday that Hatch wanted Boyd dead because of a letter shown to Hatch in which Boyd said that he was going to “jack” and “slap” Hatch once he got out of prison. She said Hatch told Louding, “You gotta take care of that.” According to Cummings, on the night of the murder Louding was at Hatch’s studio, left to shoot and kill Boyd, and returned the same night. She pointed to Hatch’s and Louding’s similar gun-inspired tattoos that they donned two weeks after the homicide. These tattoos further prove Hatch’s guilt, she said. According to Hatch’s attorney, Martin Regan and Jason Williams, these claims are far from the truth. “One key doesn’t open all doors,” Williams said. The defense will argue that there is absolutely no physical or scientific evidence to prove that Hatch paid to have Boyd murdered. They said prosecutors are relying on the testimony of a mentally incompetent witness and the irrelevant lyrics of a few of his Hatch’s songs as the foundation of their case against the rapper. “[Louding] has recanted over and over again. He’s recanted and said that he gave that statement because he was scared and wanted to get out of trouble himself,” said Williams. He said Louding admitted to doctors of hearing voices in his head that tell him to hurt people. “In an effort to get out of jail, he said ‘Oh, well Torence made me do it.’ So it’s almost like a Flip Wilson theory: ‘the devil made me do it.’ Blame it on somebody else,” Williams said. He also said that Louding’s testimony was “untruthful and inconsistent” for several reasons. “There was no consistent information that (Louding) could provide about when he was told to do it, why he was told to do it, what he was paid. Nothing else adds up,” said Williams. As part of the defense strategy, Williams argued that Louding is “very impressionable” and the East Baton Rouge Sheriff Office could easily “mold and get what they wanted from him.” Hatch’s second attorny, Regan said a deputy sheriff recently admitted he spent a great deal of time talking to Louding in which he repeatedly denied killing Boyd. That conversation was not recorded, Regan said. The defense attorneys said there is no evidence of motive and the letter Cummings mentioned does not exist. Williams said Boyd’s sister and Hatch have a child together and there is no evidence that Hatch had any ill will towards Boyd. The prosecution is presenting Lil Boosie’s lyrics as evidence of him admitting to murder. The lyrics to Boosie’s “187” and “Body Bag” were allowed by State District Judge Mike Erwin on April 22. Regan and Williams said that the use of lyrics to imply guilt in this case is simply ridiculous. Also the music made the night of the murder was sampled from music made by Hatch prior to that night. They said just because Hatch raps about guns and violence, it in no way makes him a murderer. “If that’s the case Al Pacino was a cocaine murderer from the movie Scarface; Johnny Cash is a murderer,” Regan said. “It is First Amendment and it is artistic expression and the judge initially was leaning that way, but he stated and is alleging that the lyrics are so specific that they should come in, although when you read them and look at the facts of this case they don’t add up,” Williams said. Williams stated that Hatch’s lyrics would not be on the table if he were living in a larger city. He also said local law enforcement agencies, including the East Baton Rouge Police Department, East Baton Rouge Sheriff’s Office, and the District Attorney’s Office have had “a problem” with Hatch for a while now. “Mr. Hatch has been harassed for years and years by the same law enforcement agency prior to any charges being brought,” he said. “They don’t like rap music,” Regan said. Williams said that Hatch lives in an affluent neighborhood and played a lot of loud music and had numerous people coming and going during his recording sessions. He compared how he is with his fans to Bob Marley. “Anyone that wanted to come and watch him record could come,” he said, which led to Hatch’s neighbors complaining and asking law enforcement to “crack down” on him. To Hatch’s attorneys, this case is more about Hatch’s professional career and image than anything else. “He sort of put himself in the bull’s eye of the conservative Baton Rouge community, and this is where it has ended up,” Williams said.